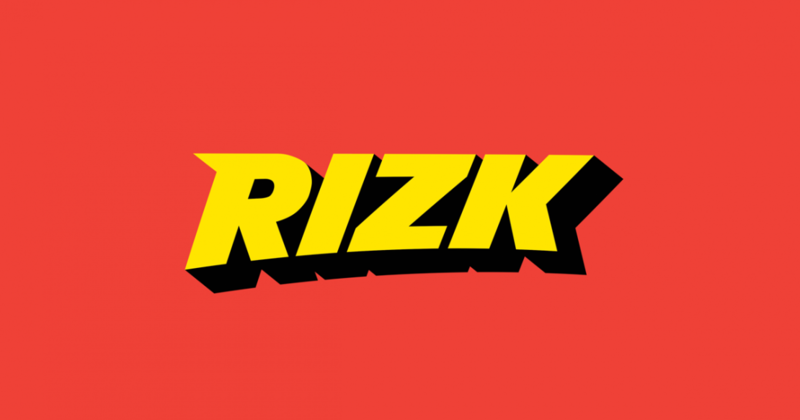 Rizk is a casino that hasn’t been online for very long, being established in 2016, but it has quickly made an impression on players thanks to their branding efforts. The experience at this casino revolves around their own superhero, which they call Captain Rizk. He appears in many of their promotional materials and on the site, as a human that’s costumed in a red outfit, with the letter R on his chest and cap. You can expect to get access to a lot of high quality games, the newest ones from the big companies being quickly added to the site. There is always something fun to try out at Rizk casino, some kind of promotion to enjoy, or a prize to get from their Wheel of Rizk. This is a casino that is available to both mobile and desktop users, with a modern responsive design that will adapt to whatever device is used to access it. This casino is operating under multiple licenses, so depending on your location you might find that a different one applies to you. The UK and the Malta licenses are the most reputable ones, but the casino also holds one from Curacao, which is not as good. There are restrictions in place, in regards to the countries whose residents can sign-up, and among those not allowed there will be United States, France, Denmark, Italy, Netherlands, South Africa, Ireland Belgium, Hong Kong and Australia, so quite a few of the big ones. The games that are available at Rizk will feature a lot of slot machines, so the way the Games page is organized revolves around that. Being a larger collection, you have several ways to find the game that you want, including a search field and several ways to filter content. You can show titles by their name, based on the provider, jackpot, if it’s a live casino title or a Rizk Race game. The providers whose games are listed on the site start with NetEnt, then Play’n GO, NYX Gaming, Microgaming, Evolution Gaming, Quickspin, Scientific Games, IGT, Betsoft, Pragmatic Play, Yggdrasil Gaming, Spigo, Red Tiger, Edict and Genii. As is typical these days, the content originates from a lot of different companies and so you get a big range of possible experiences, meaning you’re not going to get bored quickly. Even better, for those looking for big pay days, the casino features an entire category dedicated to progressive jackpots and it’s not just for show. There are 30+ games available there, from developers that are present at Rizk. The biggest ones that were available as of the time of the review, were Hall of Gods ($6.5 million), Mega Moolah ($3 million), Mega Fortune ($1.4 million) Mega Jackpots ($1+ million and available in multiple slots), Major Millions ($0.7 million) and many others in the four to six figure range. Rizk Casino is as secure as any other gaming establishment or an online bank for that matter. The same SSL encryption is used here as in other sites. When it comes to fair play, the casino has been audited by independent organizations in the past, and it’s been proven to be a fair gaming destination. Even their gaming licenses show that they’re a good casino to sign-up for, particularly the ones obtained in UK and Malta. A third one, from Curacao, is considered less reputable than the other two. Captain Rizk is at the center of most promotions that are introduced at this casino. Their brand is used to give you the Rizk Insider, the Wheel of Rizk and the Rizk Race, so it’s part of everything they offer. The first promotion that you’re going to encounter is the one for new players, which gives you a 100% match on deposits of up to $100, along with 50 free spins. You get the free spins over the course of 5 days, 10 spins each time and for a different game. To withdraw your money from the welcome package, you need to wager the deposit + bonus a total of 20 times. For existing players, it’s mostly about the Rizk Race, where you get a chance to win Super Spins. To enter the race, play one of the approved games and win the most points. Wheel of Rizk is another one that they strongly promote, and as you’d imagine this is a Wheel of Fortune capable of delivering big payouts, free spins, super spins and more. As far as customer support goes, the casino seems to be doing a lot of things in its power to give players a good experience. There is live chat available, email, but they’re missing the option to call them via phone.